Behind every window there's a destiny. 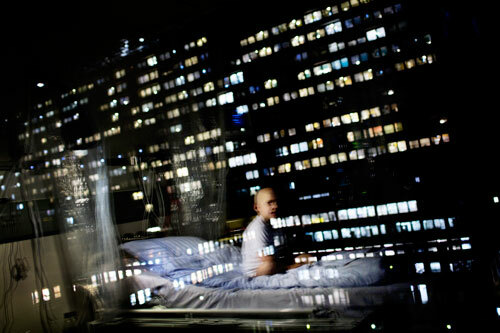 Vibe is sitting in her hospital bed looking out of the window at one of the other buildings of Rigshospitalet, the main hospital of Copenhagen, Denmark. She is hospitalized to have a high dosage chemotherapy treatment.